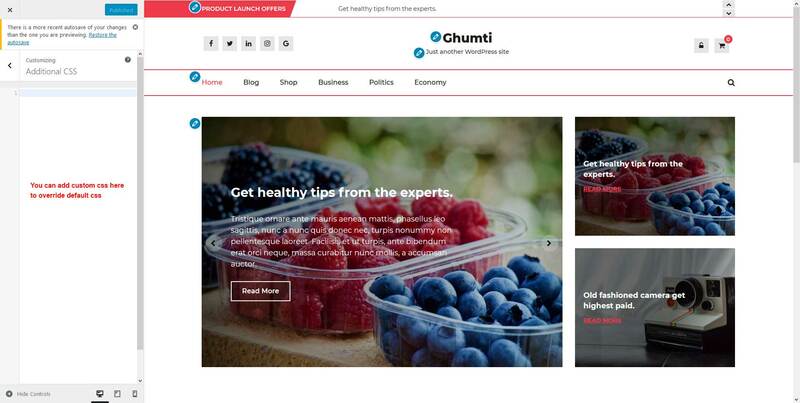 Ghumti is a modern ecommerce theme with creative design and powerful features that lets you write articles and blog posts with ease. It uses the best clean SEO practices, responsive HTML5, and on top of that, it's fast, simple, and easy to use. 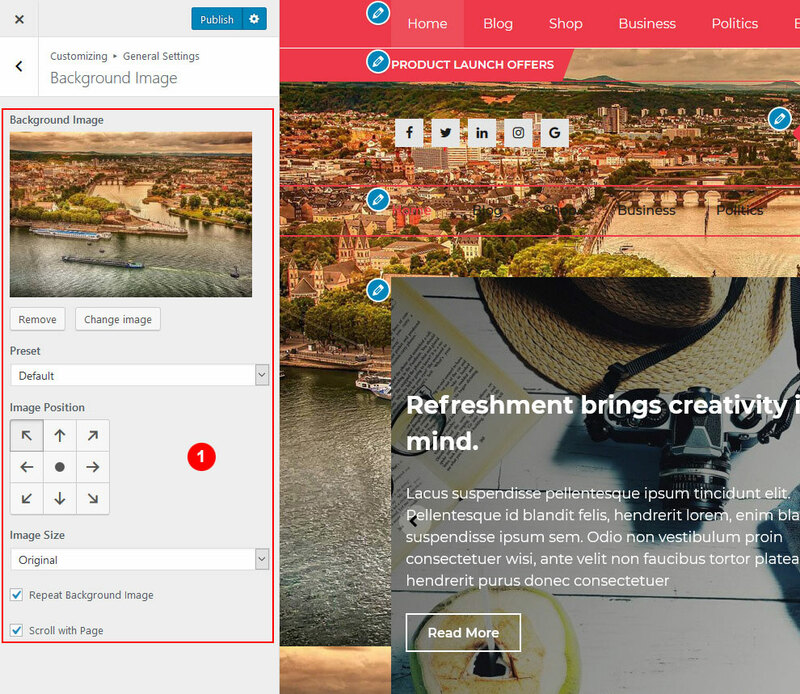 Use the Customizer to add your own background, page layout, site width and more. 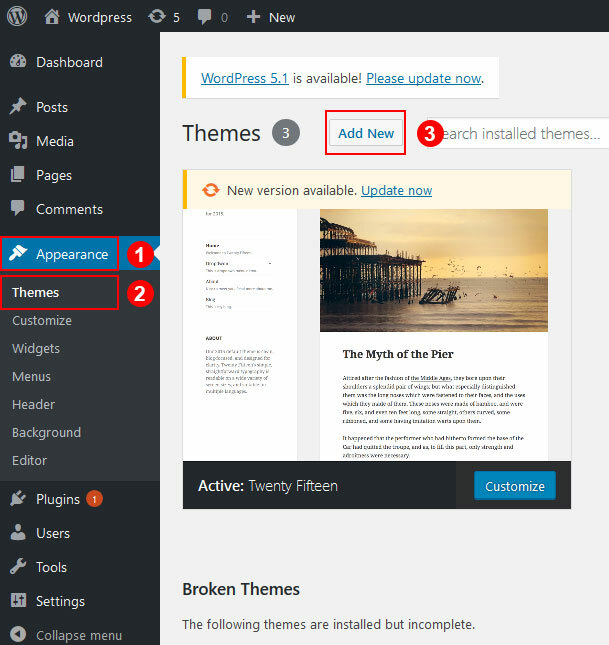 This theme has no such specific requirements but we recommend using latest wordpress and latest plugins. 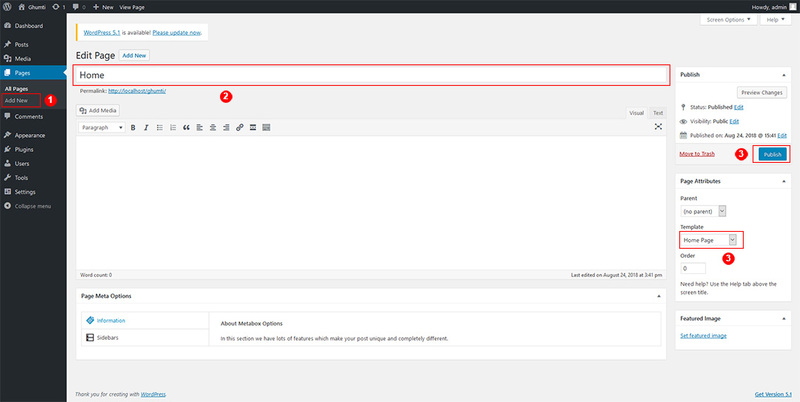 Activate the Ghumti and Click on “Customize” in the Appearance Menu in the Dashboard. 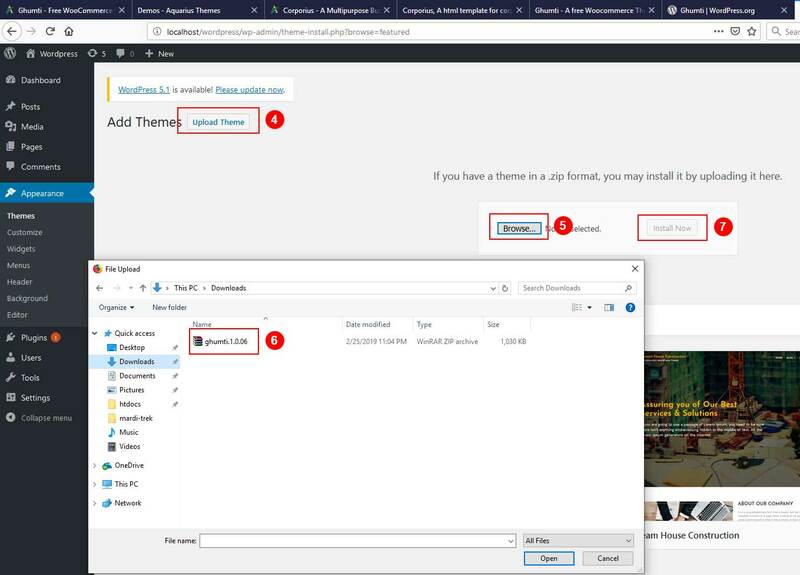 Backup your existing theme folder if you have made any changes to the original theme files(not recommended). 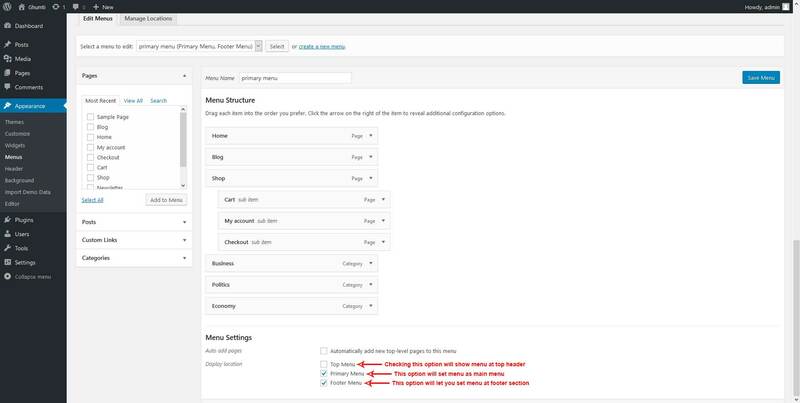 You can click on Update button available on your admin dashboard themes page. Manually you can copy the files inside "ghumti" folder from the zip file of the latest version of Ghumti Theme. Click on Available option to Import Demo. 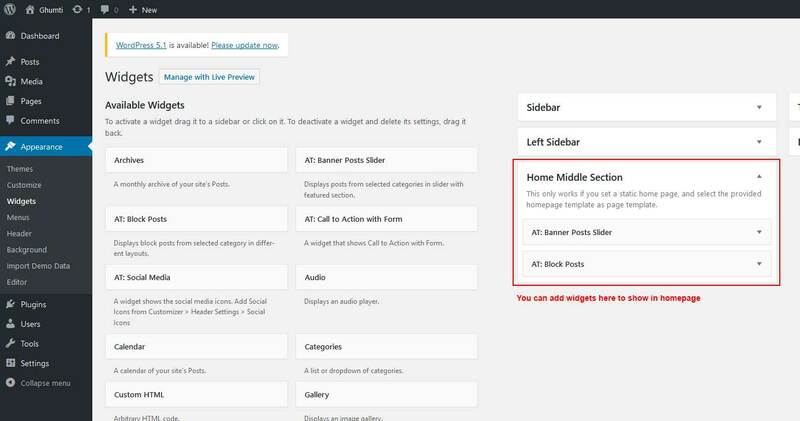 - customizer-settings.dat => contains customizer settings on demo site. or post in our forums or come to our website live chat service. Upload logo of your site. 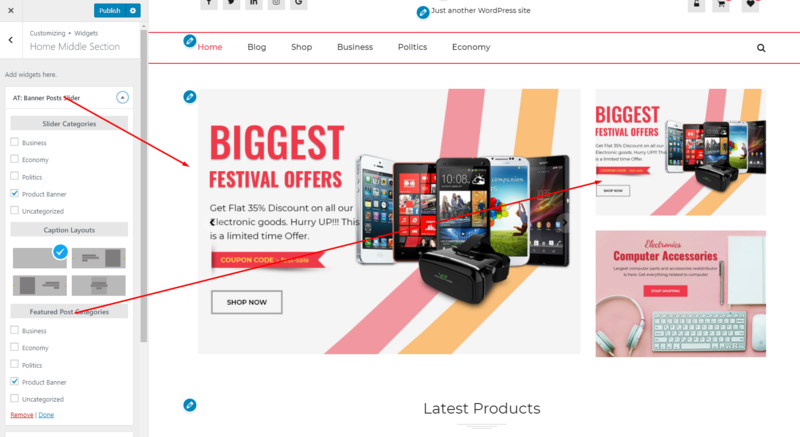 Choose among Fullwidth or Boxed layout for your site. ​Upload image to add in background of header logo and menu. Choose to show or hide the top header section. 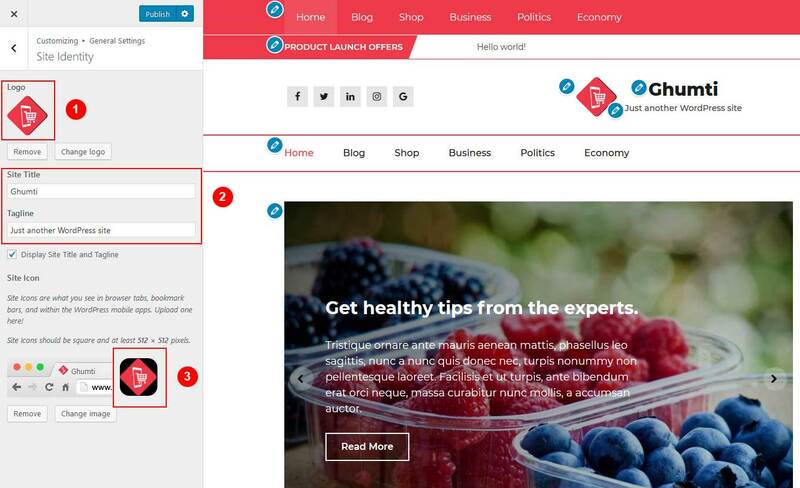 ​Choose to show or hide user icon and cart icon if woocommerce is available. Choose to show or hide search icon beside menu in header. Choose to show or hide social icons at the top beside logo. Choose to show or hide news/updates ticker at the top header. Enter Caption for the ticker. 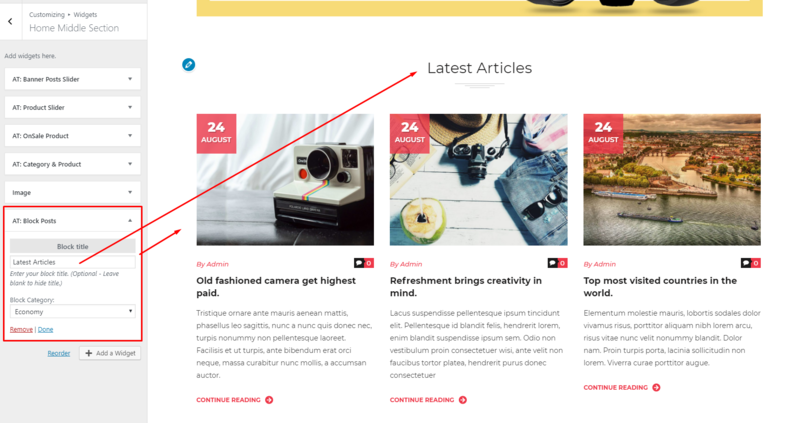 All contents of this section are controlled from Widgets. 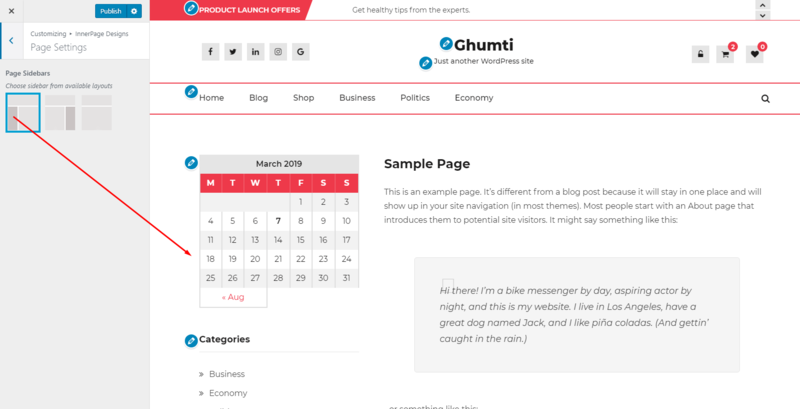 It is just for your information that this theme uses a homepage template to load contents. Choose archive posts display layout from list or list grid mixed. Enter Read more text to show on archive pages. 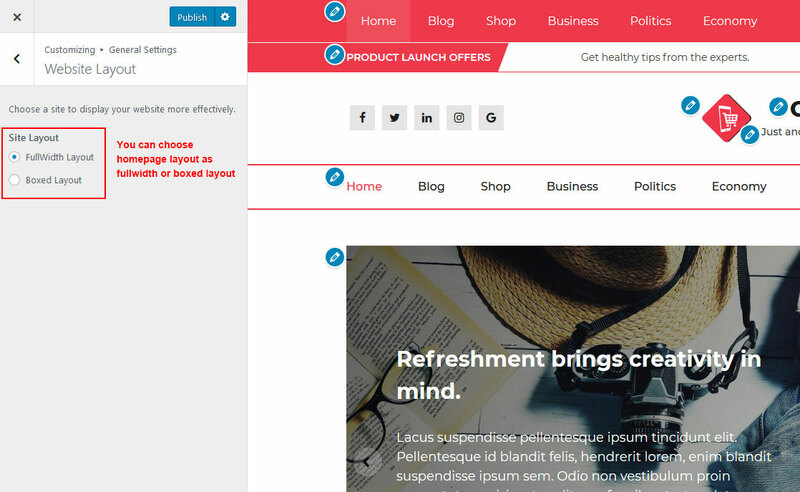 Choose Sidebars from left, right or no sidebar for single pages. 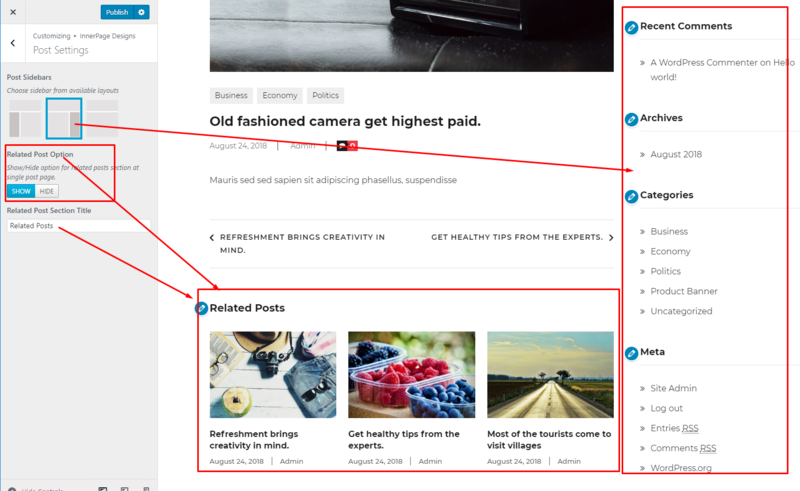 Choose Sidebars from left, right or no sidebar for single posts. Choose to show or hide the related posts in the single pages. Enter Related posts title if you enable. 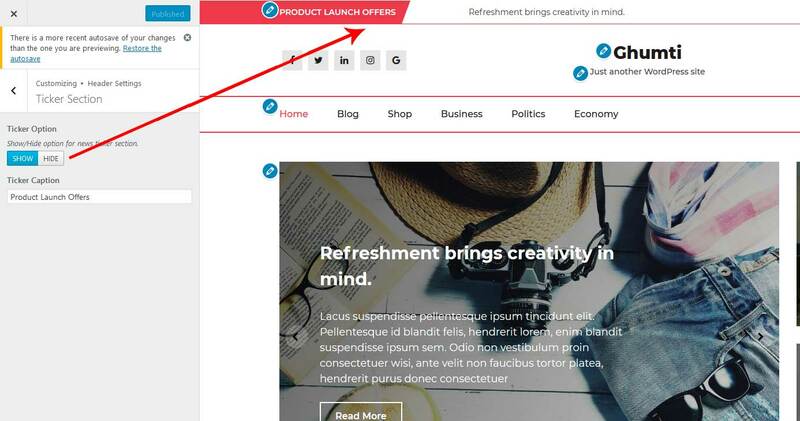 Choose to show or hide the footer widget section. Choose number of columns the widgets will be aligned on in this secction. 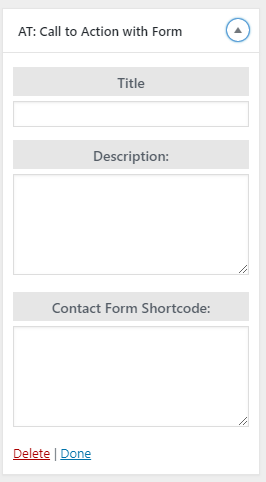 Enter Copyright Text in the field, We want you to keep our tag to credit us with our efforts in providing you this free theme. 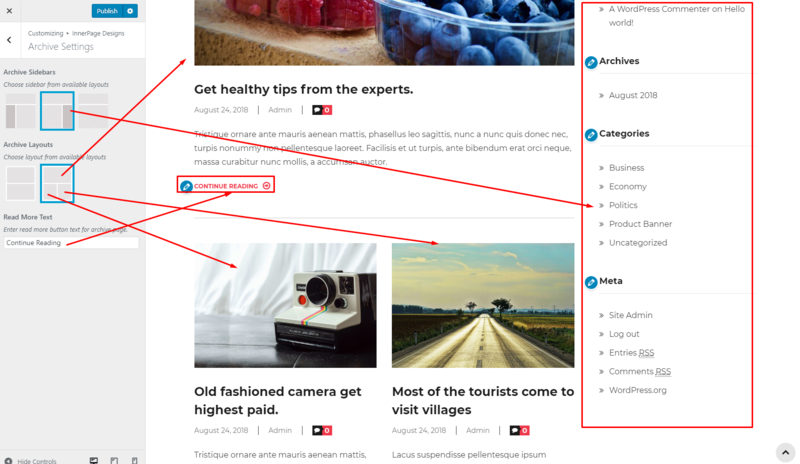 - Top Header Menu => Shown at the very top of the page. 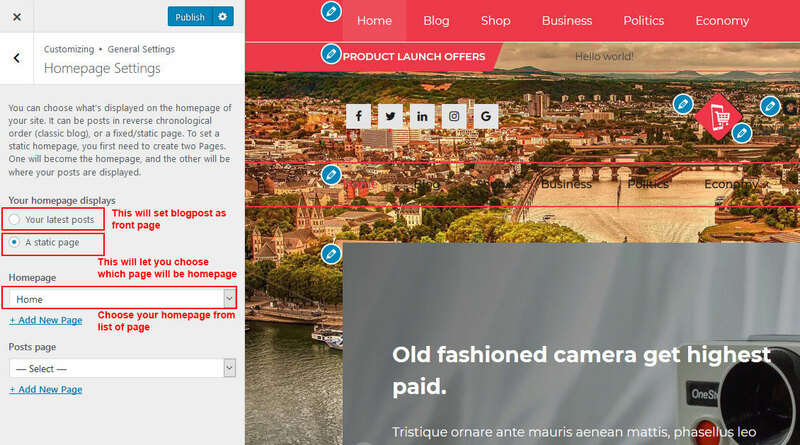 - Footer Menu => Shown just below footer widget and above copyright. Widgets are the main component of this theme. 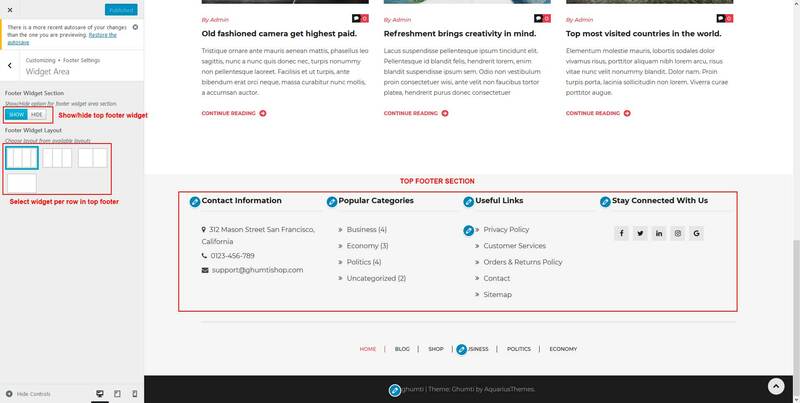 Top Footer => Used for top footer section controlled by columns in footer settings. 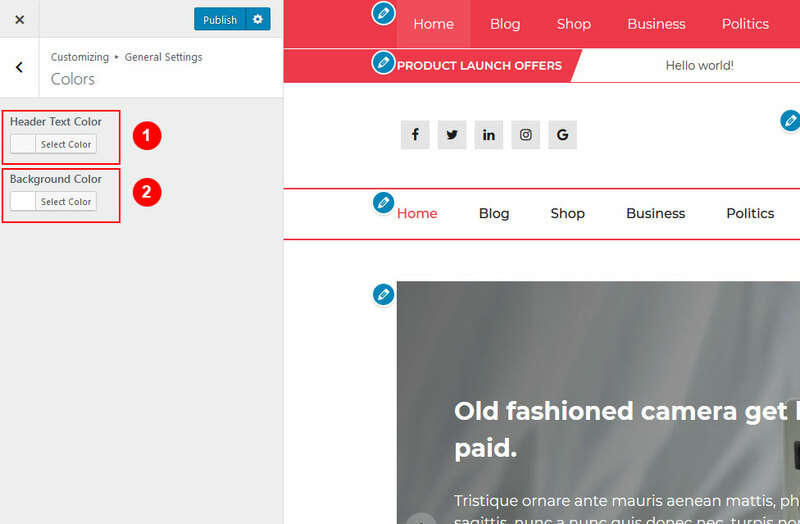 Main Footer => Used for main footer section below footer menu. You can enter you additional css codes via Appearance -> Customize -> Additional CSS if you like to override any designs of this theme.